Lea E. Westman is a registered patent attorney at Schwegman Lundberg & Woessner. Her practice includes patent preparation and prosecution, freedom-to-operate analysis, and clearance opinions, primarily in materials science, chemical engineering, and biotechnology. During law school, she founded the Student Intellectual Property Law Association. 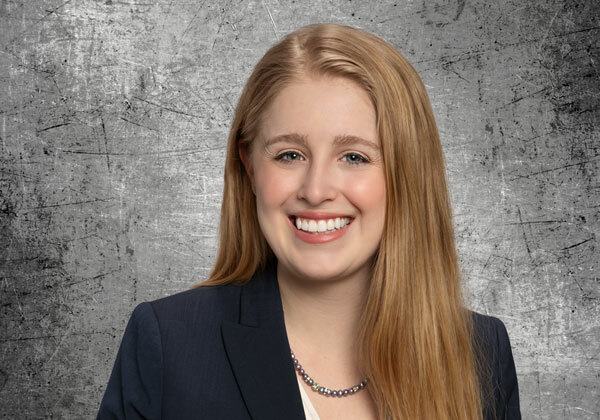 Additionally, she was sponsored by the Federal Bar Association to compete in the Thurgood Marshall moot court competition in Washington, D.C., and participated in UST’s litigation practicum. Prior to law school, Lea earned her B.S. in chemistry from Pepperdine University, and worked as a chemist, researching microbial fuel cells and lithium ion batteries in a materials science laboratory. In her free time, Lea coaches the University of St. Thomas team to the AIPLA Moot Court Competition. In 2018, her students won the MIPLA state tournament and the AIPLA Midwest Regional Tournament.